I stepped on it before picking it up, didn’t look solid at first. I’ve never seen anything like it; not magnetic. 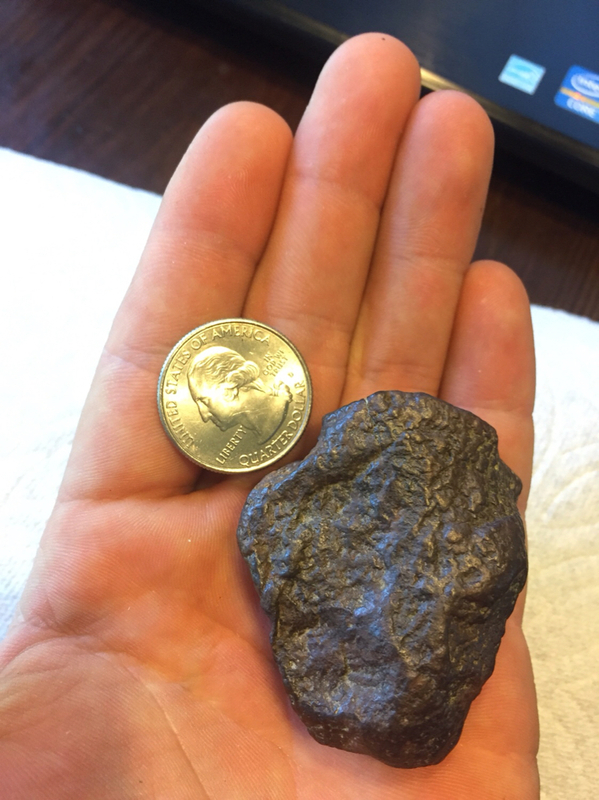 What kind of rock is this? That one thing a .25 cent piece and that other one is ore.
Iron ore. That's my final answer. Kryptonite. No more superpowers for you. It does look like some iron ore on the googler. Last edited by Patton; 05-16-2018 at 06:11 PM. Joe dirt let you have a piece off of his? Does it seem heavy for its size? I have something similar. 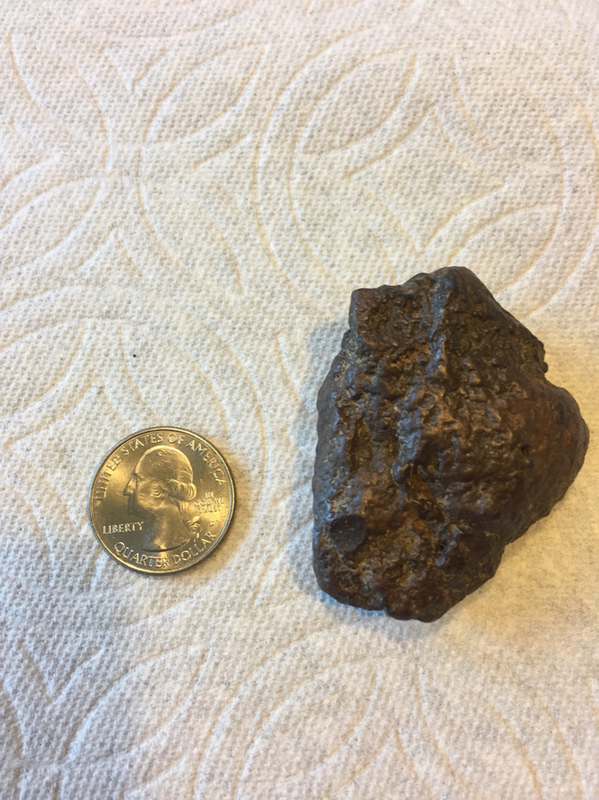 Pretty sure it's iron ore.
Looks like a quarter...but can't really tell for sure because you got it next to that piece of **** you picked up.. I go with this ^^^^^^^^. As kids we called it fools gold. Throw it away, keep the quarter. 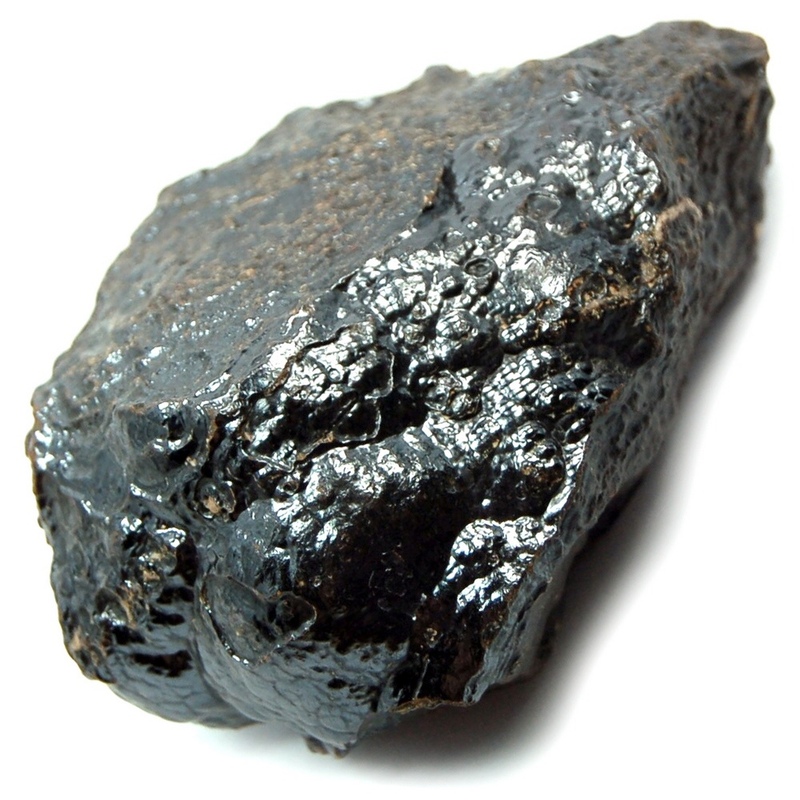 Hematite is my guess as well. If the rock is wet, it's raining. If there are two rocks, stop drinking, you are drunk. I think we have some geologists on here. Perhaps they will chime in.